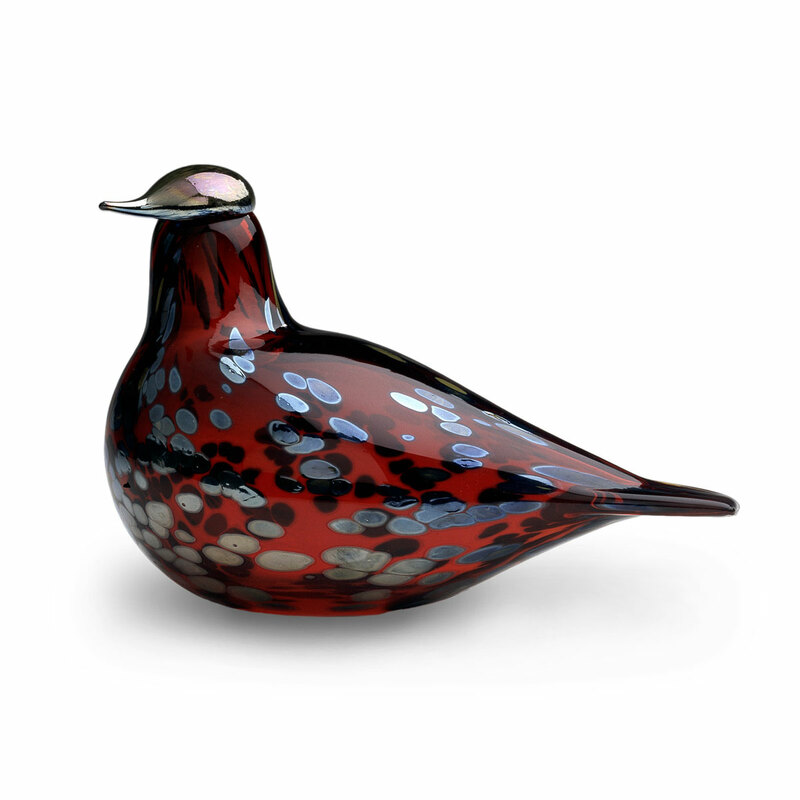 More about iittala Toikka Ruby Bird Originally designed in 1996, the Ruby Bird is among the most popular of Oiva Toikka’s glass birds. 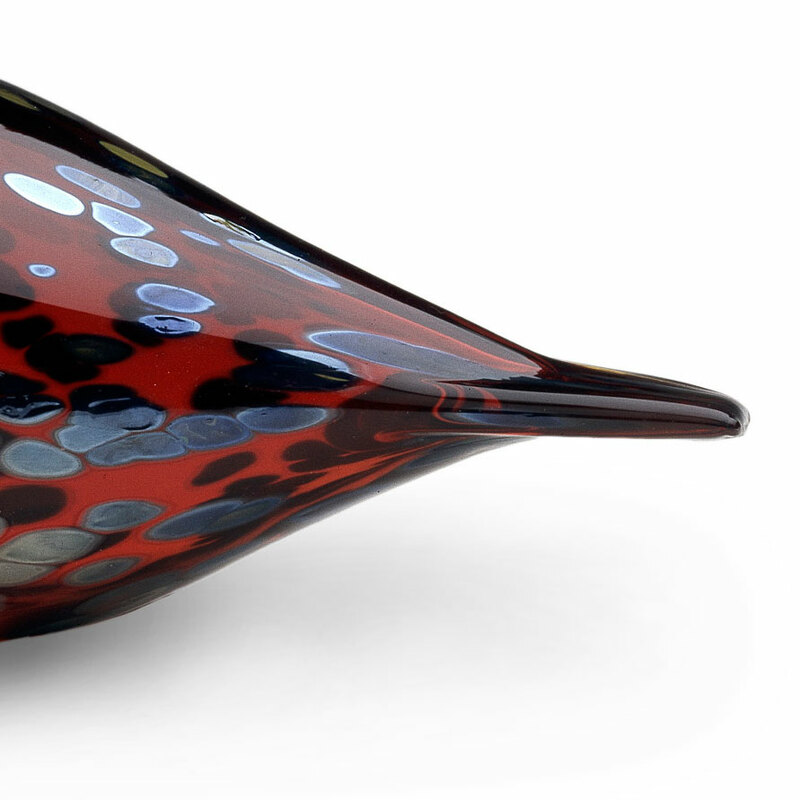 This newly released rendition takes the red to a deep shade of cranberry, on which the specks of iridescent glass sparkle in stunning contrast. 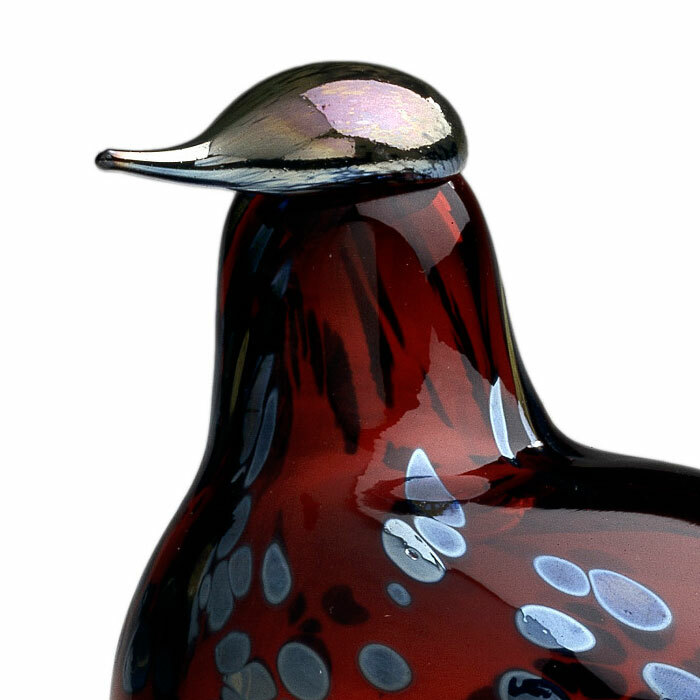 This handcrafted detailing on the body matches the mirrored finish of Ruby’s head and beak, slightly slanted in curiosity. 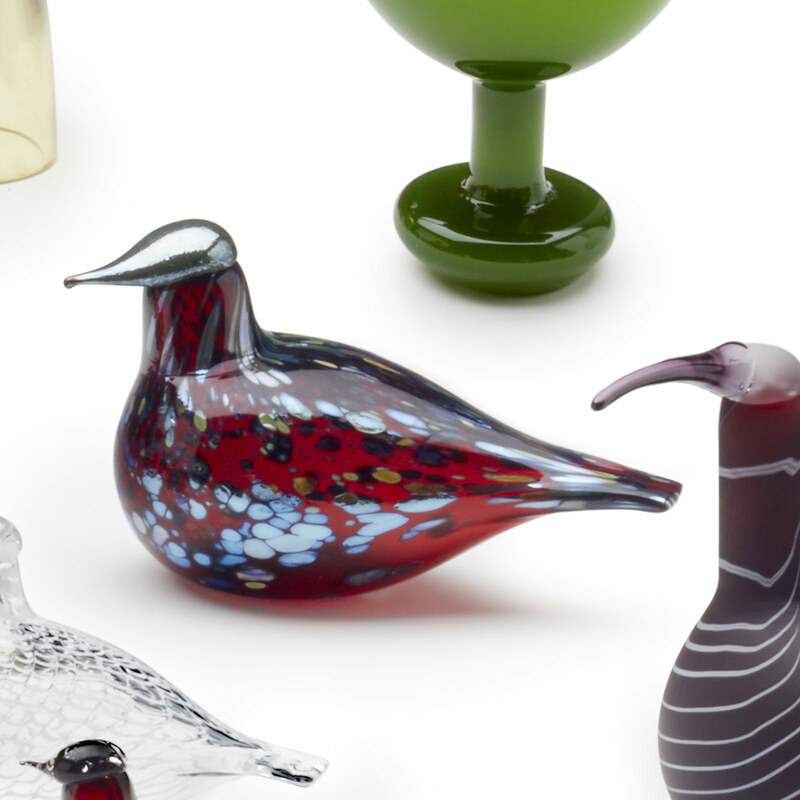 The attention to detail from the artist Toikka and the glass blowers at iittala can be equally admired in avid collectors and newfound fans alike.The birds of Oiva Toikka's 2014 collection are individually mouth-blown by the master glassblowers at iittala’s glassworks in Finland. Each handcrafted iittala Toikka Ruby carries the signature “O. Toikka IITTALA” on its base to ensure authenticity.